Is it coincidence or might there be a trend emerging here? In the space of 24 hours, I’ve discovered two mainstream media that are highlighting “conscious consumers” in New Zealand. Good inspires women to create a wholesome, healthy life for themselves, their children and future generations. The Good world is luscious, warm, nurturing and authentic. 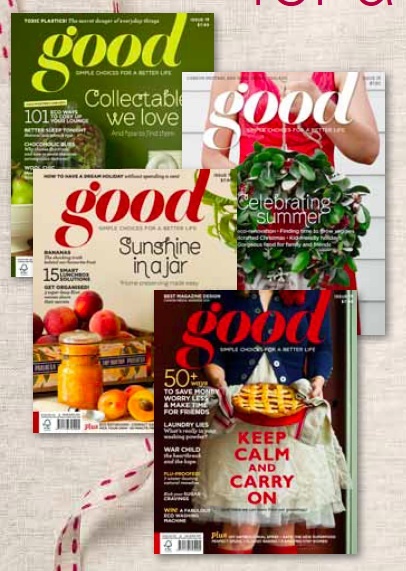 Good targets ‘conscious consumers’: intelligent, motivated women who want to live lighter and live well. They actively seek information to help them make smarter, healthier and more ethical choices for themselves and their families. They may not consider themselves to be ‘green’; they’ve simply realised they can change the world by changing what they consume. Good is aimed at the LOHAS (Lifestyles of Health and Sustainability) demographic, constituting 31% of the population. LOHAS are well-educated, with an average to high income. They are interested in personal development, health, sustainable living and social justice. Over half of Good readers have children, a major driver of health-focused, eco-friendly living. 2. Element – a monthly insert in the New Zealand Herald that “aims to inspire and guide Kiwis to transform New Zealand into the healthiest, most liveable destination on the planet”. The Herald’s newest magazine, which desires to be New Zealand’s largest mass-reach health, sustainable lifestyle and ethical business publication, is focusing on a Conscious Cafe per month. The Conscious Cafe Network is the first project of a movement called Conscious Consumers founded by Ben & Fran Gleisner and Melissa Keys. We blogged about this movement back in March of 2011 here. 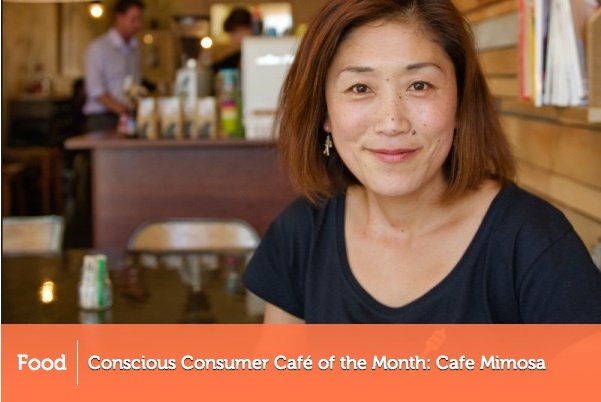 Cafes and Suppliers to cafes are awarded badges for demonstrating a commitment to environmentally and socially conscious business practices. Thus far the network has been established in Wellington, Auckland and Waikoto with over 70 cafes participating. Thanks to funding recently obtained from the Ministry for the Environment, the network will be expanded to other communities and will be able to promote network members to conscious consumers. Ben and Melissa tell me that they also hope to expand to restaurants and catering establishments next and we hope to join forces to bring the concept of Conscious Consumerism to the travel sector in New Zealand. 9 Using exclusively free range eggs. It’s early days yet, but this does provide further evidence that a growing number of consumers are becoming awake, aware and alert and suppliers can seize the opportunity to cater to this market. Thanks Green Match for including us in the Best Conscious Travel Awards 2016! We're in very good company. Read, share, comment and attribute – thanks! Conscious Travel Resources by Anna Pollock is licensed under a Creative Commons Attribution-NonCommercial 4.0 International License. Has the global growth of tourism become a “wicked” problem? Are the eggs of the tourism goose starting to crack? Enter your email address to follow this blog and receive notifications of new posts by email or click on RSS feed above.